This spectacular fjord is a branch of the majestic Storfjord, which cuts in from the Atlantic sea just south of the Art Nouveau town of Alesund. In 2005 two Norwegian fjords were added to the UNESCO World Natural Sites List; the Geirangerfjord and the narrow Naeroyfjord, which is a branch of the majestic Sognefjord. 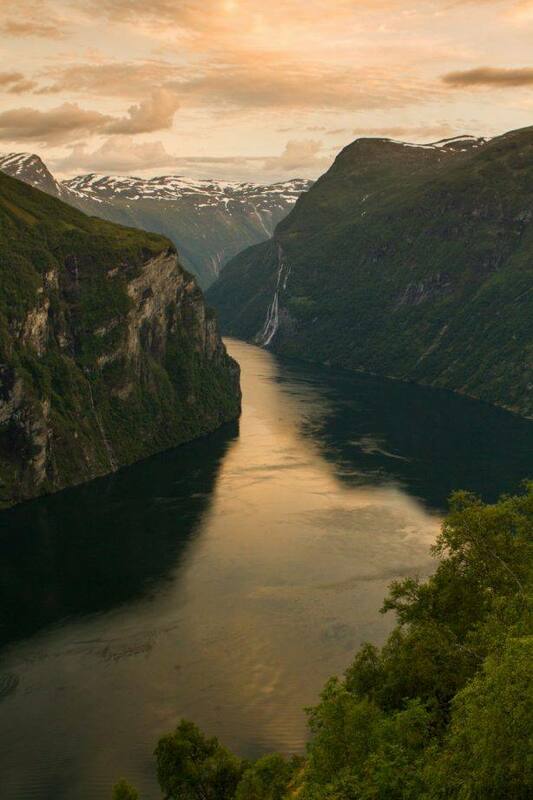 Geirangerfjord is the jewel in the crown of the Norwegian fjords. 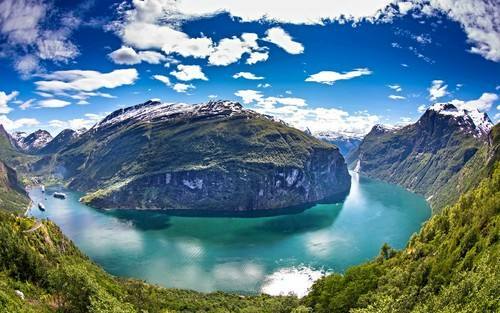 It is a fairytale landscape with its majestic, snow-covered mountain tops, wild and beautiful waterfalls, lush green vegetation and the deep, blue fjord. is on one of our Fjord Cruise Packages. You can start your trip in Oslo or Bergen. These trips are individual, which means that you will not travel with a group. All transport and hotels are arranged for you up front, you will receive detailed directions to make sure you will easily find your way. – an extensive 7 nights trip starting & finishing in Oslo. Enjoy a fjord round trip with fjord cruises, major Fjord Norway attractions, an overnight cruise from picturesque Bergen to the Art Nouveau town of Alesund & spectacular rail journeys . 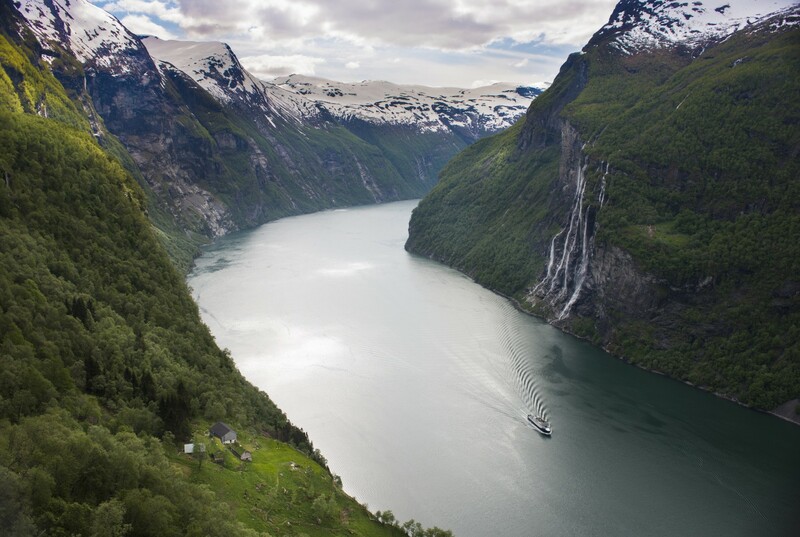 Experience cruises on the UNESCO Geirangerfjord & Naeroyfjord, Bergen line, Flam Railway & Rauma line, Stalheim canyon, Oslo, Bergen & Alesund. – a relaxing 5 nights Fjord cruise trip starting in Bergen & finishing in Oslo, with the beautiful Geirangerfjord, the spectacular Rauma line and stay in the picturesque Art Nouveau coastal town Alesund. – an extensive 8 nights Fjord cruise package with Geirangerfjord & Trollstigen hairpin road, the Sognefjord & the Hardangerfjord, the Bergen line & the Flam Railway and a 2 nights Hurtigruten cruise from Bergen to Trondheim. – a 5 night combination tour including a cruise on Geirangerfjord, a ride on Dovre Railway, a coach trip on Eagels Road, an excursion to the famous Atlantic Ocean Road, a cruise with Hurtigruten and a stay in Norway´s second largest city- Bergen. You can add extra nights and activities to the tour. – a 8 night combination tour including a cruise on Geirangerfjord and Naeroyfjord, a ride on Dovre Railway and Flam Railway, a coach trip on Eagels Road, an excursion to the famous Atlantic Ocean Road, and a cruise with Hurtigruten from Alesund to Bergen. You can will also visit scenic cities like Alesund, Bergen and Oslo. You can also add extra nights and activities to the tour.